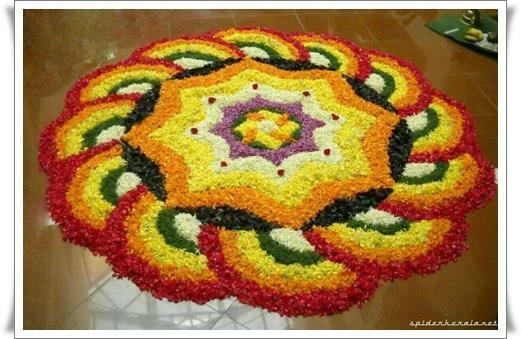 Onam 2014 special events, ideas and best thoughts are given here. Many new innovative ideas have been put forth this year which includes entertaining Onakkalikal, pookkalamalsaram, Onam musical fest, Onasadhya, Onam dance fest and much more. Ideas on the top events to be conducted during Onam 2014 are given as a nutshell. Onam, the harvest festival of Kerala commemorate about a beautiful place ruled by King Mahabeli. There were no bribery, theft and jealousy at all and the place exact to heaven. Onam is a special time for the locals and people celebrate to their maximum. Many new innovative ideas have been put forth this year which includes entertaining Onam games (Onakkalikal), pookkalamalsaram (floral carpet), Onam musical fest, Onasadhya, Onam dance fest and much more. Ideas on the top events to be conducted during Onam 2014 are given as a nutshell. Enjoy the season with your friends and relatives and pile up some memorable days to your account. 1) Uriyadi: This is an interesting game in which a group of players pile up one over other and hit a pot kept at high altitude. This game need skill and practice to perform it well. This event should be done will great care due to the risk involved while performing. 2) Kalam Thallipottikkal: Its a game similar to uriyadi in which only a single player takes part to break the pot whose face is rapped up to block vision. The game requires great patients, concentration and luck. 3) Vadamvali (Tug of war): Its a game meant for all the muscular men. Two teams pull up a heavy rope and those who pulls it more than the allocated boundary will be crowned as winners. This game requires well trained players who are physically strong. 4) Chakkilkayari ottam: This game essentially require patients to finish the race with a manageable speed. The player gets in to a sag and he/she has to jump continuously to finish it first. These are some of the physical activities performed mainly during Onams. Rest include small games like lemon and spoon, candle race, sundarilku pottuthodal, lemon and spoon, rottikadi, kuppiyil vellam nirekkal, and much more events to make the eve colourful. 5) Pookkalam: Pookkalam (floral carpet) is an important event during onam as it spreads out a visual treat for the people around. During the festival days people collect wide ranges of flowers and reproduce a fascinating floral carpet within no time. This is a main competition held in colleges, schools, clubs, churches and all. 6) Onasadhya: Onam is incomplete without a mouth watering onasadhya (onam feast). Malayalies are eagerly waiting to have a delicious sadhya in vazhayila (banana leaf) with lots and lots of dishes. More than that a sweet adapradaman payasam (a sweet dish) for the final touch. A delightful onam with all these events will always be a memorable for everyone. Pulikali, Thumbi Thullal are the highlighting event which could capture great attraction. All these dance forms resembles the culture of Kerala and has lots of history behind them. Even large numbers of foreigners rush to the 'Gods own country' for enjoying their leisure time and also to learn about the traditions and practises of Kerala.